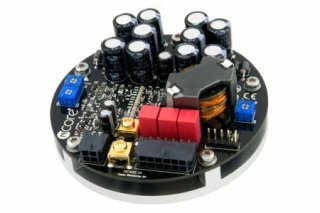 Enlarge The astounding performance of Ncore technology is now available to DIY enthusiasts. The NC400 packs a feature set never before seen in a modular amplifier product. The NC400 module's audio performance sets new standards, regardless of operating class or circuit technology. Distortion (THD and IMD) over the full audio and power range is negligible, typically below 0.0007%. Distortion at listening levels (1W) is unmeasurable. This amp adds neither dirt nor fairy dust.